Um fancy some beer that’s been to space? Well, now you can get some. They’re not left-over bottles from a space mission that didn’t quite get drunk nor did Nasa specially fly out a few cans one year. 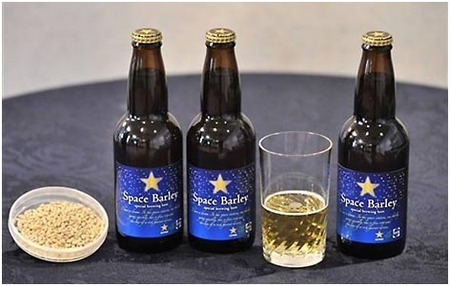 No, not space beer like that, but the barley used to make the beer is descended from barley that has *genuinely* been in space. It went up there one year with the Russians who used it in an experiment to see if crops would grow in the solar system. It’s fourth generation offspring of that experimental barley and Sapporo, a company in Japan (where else?) has decided to brew it and make beer with it. For now, there are only 250 six-packs of the beer, which Sapporo calls “Space Barley,” are available for purchase. Customers will be selected at random from those who apply through the Space Barley website before December 24. According to Sapporo Space Barley beer has a mellow flavor and slightly dark color reminiscent of deep space. Wow.